Please find below details of what you can expect before your wedding to help you enjoy your day. Ideally your guests should arrive about half an hour before the ceremony and will be asked to take their seat in the Great Hall about ten minutes before the wedding ceremony starts. Your guests need to be seated before the registrars take their places. We also request that the groom arrives at the castle at least half an hour before the ceremony. The registrar will ask to see the groom for a private meeting in the Castle reception area about 20 minutes before the wedding. Following this, the groom will take his place in the Great Hall and await the arrival of his bride! At least ten minutes before the ceremony is due to start, the registrar will hold a private meeting with the bride. The bride will then make her way to the inner porch, where the wedding coordinator will be informed she is ready before making the walk down the aisle and the ceremony will begin! For a full guide on what to expect, details on photography, how long you will have the Great Hall for and a whole host of other useful information, please download our wedding pack. 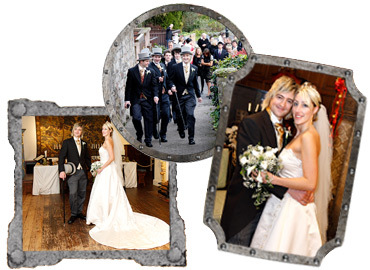 However most of all, enjoy your day and we hope Tamworth Castle provides you with the perfect setting for your wedding.